India has the ambition to be a leader in digital healthcare. 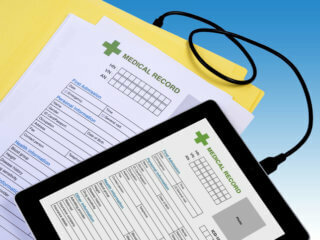 This includes information technology solutions for patient records so that both patients and health workers have all the information at their fingertips. It also includes digitally matching patients with hospitals and particular medical specialists, management of appointments and payments. All these data can then be used to find ways to improve patient experience and health outcomes. It may be extended to using artificial intelligence in the diagnosis and include data from wearable devices that collect daily data on vital signs such as blood pressure and heart rhythm. Lets explore digital healthcare initiatives of top 5 hospitals in India. The internet and mobile phones play an important role in this development, making it a potential tool to reach hitherto underserved rural areas. With better data available to health practitioners and patients, earlier detection of symptoms, faster diagnosis and less need to physically visit remote hospitals, digital healthcare has the potential to improve health outcomes, reduce costs, and improve the patient experience. 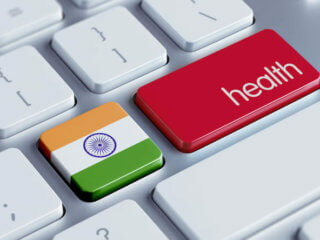 Information technology used in Indian hospitals are mostly in managing appointments and storing medical records. However, especially the better private hospitals are making more intense use of information technology to improve health outcomes through analyses of the data, using artificial intelligence, and more intense monitoring. Because smartphones are widely used in India, we may expect to see a growth in telemedicine, both in telehospitals and clinics and at home. Thus medical specialists in big-town hospitals will become accessible from rural clinics or even from private smartphones. The change may be slower in government hospitals, but with AIIMS giving a strong example, and digitizing being cost-effective, the future of the whole healthcare system in India will be more and more digital. Is Indian healthcare system ready for digital transformation? 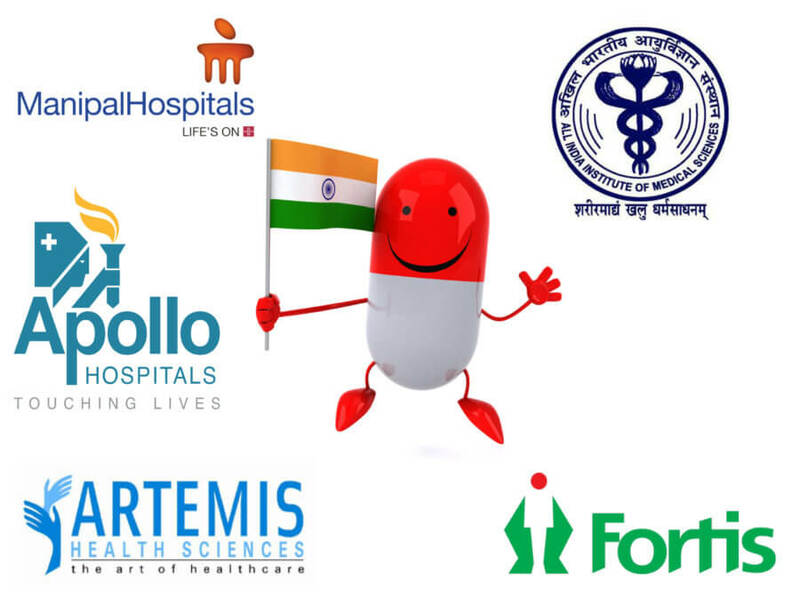 Apollo Hospitals Enterprise Ltd operates a network of hospitals across India and claims to highly value information technology. Apollo Hospitals use Healthcare India’s Pharmaceutical Registry so that doctors and pharmacists in the hospital have information on health status and allergies of their patients. This can prevent prescribing drugs that cannot be used together, that should not be used in particular conditions such as pregnancy and to avoid drugs to which a particular patient is allergic. This hospital also uses electronic medical record (EMR), and personal health record (PHR). 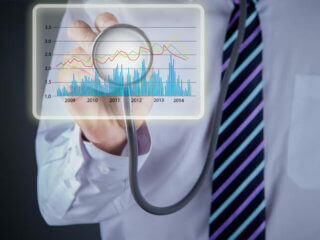 The information on patients is analyzed with particular healthcare software using hybrid cloud computing. They also work with some mobile applications. The information technology is not only used to facilitate end-to-end healthcare in their large organization but the data are also used to improve health outcomes using the data gathered. The main benefit is that medical doctors obtain a full picture of the patient’s well-being and also his or her family situation, and nurses and ancillary service providers also take the data from the EMR into account. 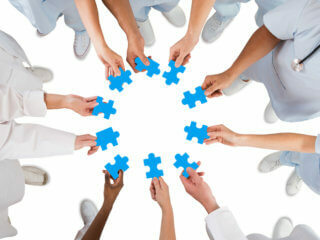 Apollo is also extremely active in telemedicine, providing over a hundred thousand teleconsultants. Just this year, Apollo hospital has partnered up with the Israeli company GlucoMe to help diabetes patients to monitor themselves. By using a device that can measure blood sugar levels and transfer the data directly to a mobile phone, doctors are able to monitor about ten times more patients than is possible with face-to-face consultations. Also in February this year, Apollo Hospitals partnered with Google to offer a health app on their smartphones called “symptoms search”. This app aims to provide quality information on what the underlying causes of particular symptoms may be, how they may be treated and if a doctor’s visit is warranted. In addition, information technology is used to garner feedback from patients and respond to these, both anonymous and quoted. This helps the hospital to improve its service. Tellingly, Apollo Hospitals was rated the most active on social media. About 600 IT specialists work for Apollo Hospitals. A key technology that they use is cloud computing. They use Azure cloud and the Oracle Cloud, but for EMR they have their own the private cloud set-up in Chennai. Next will be the increased use of the Internet of Things (IoT), to better exploit the possibilities of Artificial Intelligence. All India Institute of Medical Sciences (AIIMS) is India’s first fully digital public hospital. 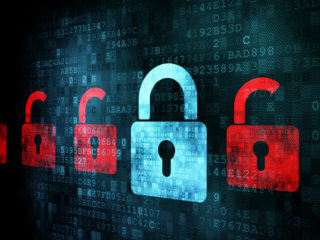 It has used extensive training and organization of special cadres to move from fragmented information technology applications to a streamlined information technology system. Simply by online registration, it has reduced waiting times enormously. No longer is there any need to come before the break of dawn to be able to see a doctor. With the AIIMS AVC clinic, many patients may not even need to come to the hospital but can have a video consultation instead. With an internet connection, a mail account and a mobile number, patients can make an appointment for a video consultation that is then conducted on Google hangouts. This can make a consultation with a specialist or second opinion much more accessible, especially for rural communities. AIIMS is showing other state hospitals the way to digitization. This needs continuous effort and collaboration. Therefore, AIIMS may be the most important player in digital health in terms of the number of patients that benefit. Fortis is known as one of the most technologically advanced hospitals. Fortis has its own healthcare app called “My Fortis” with which patients can navigate the patient care service of Fortis hospitals. Using this app, patients can obtain information on the physicians, and on the clinical and diagnostic services belonging to the Fortis Network. 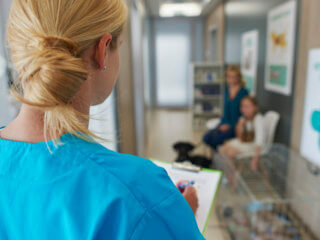 They get access to information on the expertise of the doctors and can make appointments. Even non-registered patients can make appointments and then need to register when they arrive at the hospital. This app is based on a public cloud platform. Similar to Fortis, Manipal Hospitals has also released its own mobile app. This App doesn’t only manage appointments and payments, but also provides central access to medical reports, and gives advice on health-related issues such as diet and other lifestyle choices. It also has a monitoring function to keep track of vital rates like blood pressure, heart rate, and sugar level. The app makes it easy to find the nearest hospital and to contact emergency care. Manipal Hospitals has also adopted artificial intelligence for diagnosing cancer. To that end, the hospital has adopted IBM’s Watson to recognize patterns in images, in this case, to recognize cancer in images of human tissues. Artemis Hospital received the “Healthcare transformation award for innovative use of Mobile in Healthcare services” in 2017. It was the first hospital to launch an app with which patients can check-in to out-patient care using their smartphone, called the Personal Health Record (PHR) mobile app. The app keeps records of all hospital visits, medical records, and drug prescriptions, and patients can add additional medicines that they are taking. With these apps, patients can avoid queues and make sure the doctors have all relevant information at their finger-tips. Artemis Hospital uses a wide range of monitoring devices to track vital signs on a daily basis. In India, Artemis is the first hospital to provide full-time patient surveillance for a wide range of conditions. While such top hospitals and clinics in large cities may use very modern technology, in rural India, the potential of digital healthcare has hardly been used. Yet digital solutions are part of the most realistic way to bring affordable healthcare to the whole Indian population. Important challenges to bringing digital healthcare to rural areas are internet connectivity, education and acceptation, and of course the price of the investment. Therefore, companies should especially focus on developing low-cost healthcare products that are easy to use and implement in rural clinics. In hospitals, digital solutions will improve workflow. This can now be cheaper than before by using cloud computing. 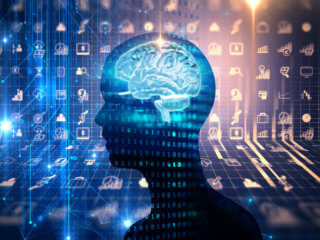 Artificial intelligence and consultation of specialists via the internet or mobile connections will help in faster and earlier diagnosis, as well as better medical treatment. While the acceptance of IT has been slow in the medical sector, this is changing rapidly as hospitals have recognized its potential to help solve some of its most pressing problems. Thus, investment by hospitals in information technology is rapidly increasing. Hospitals all over India are digitizing health records and about 90% of doctors collect digital data and move them to the cloud. On the other side, smartphones are becoming more and more common and used for a wider spectrum of purposes including payments, so that apps for healthcare will also become more commonly used by patients as they are proofing useful. 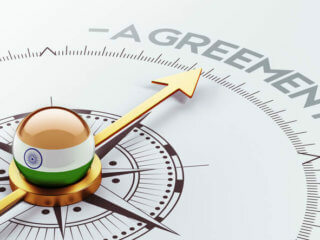 It will still take some years until Indian healthcare is fully digitized because all programs have been delayed or only partially implemented, but this will improve over the coming years. The potential for digital healthcare in India is huge. Many digital healthcare companies have moved their feet towards delivering online health services. Online appointment, online consultation and online payment are some of them. This is scene of emerging India. Great read. Than you authors. I have one point to make. While this paper was being written, five yrs back Max Healthcare ltd. New Delhi had already established its value as Indias first paperless hospitals network. I am surprised to see that it does not even has a mention here?